Yum. I have yet to try watermelon in a salad, but I need to. This looks awesome. Yay for wine!! Mmm, I love putting watermelon in salads! I've never added honey to a dressing before though, I'll have to remember that. That sounds so awesome! If I wasn't allergic to watermelon, I would be making this asap. Maybe I can substitute the watermelon for something else. yum...looks delish! is there a cheese you might suggest using instead of feta (i don't think you can eat feta while pregnant)? I love cucumbers, tomatoes, feta cheese, mixed with a little mayo and milk! That looks yummy! I am so glad summer is here for all the fresh flavours!! I love these flavours together- I made a similar one but the addition of honey sounds great! 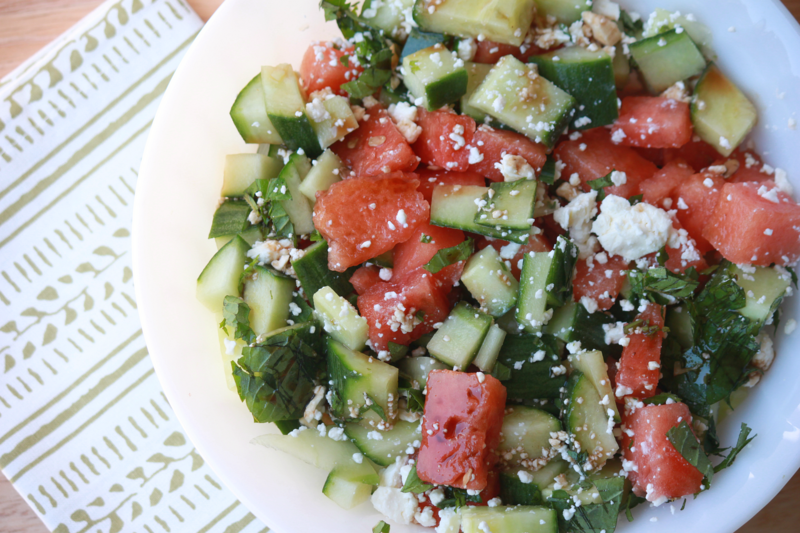 I'm doing a #saladaday challenge in June so stop by to see what I've been dining on! I wish I could take this out of the screen & package it up for lunch today! Looks so fresh and delicious. Of course high five on the glass of wine! That does sound delicious. 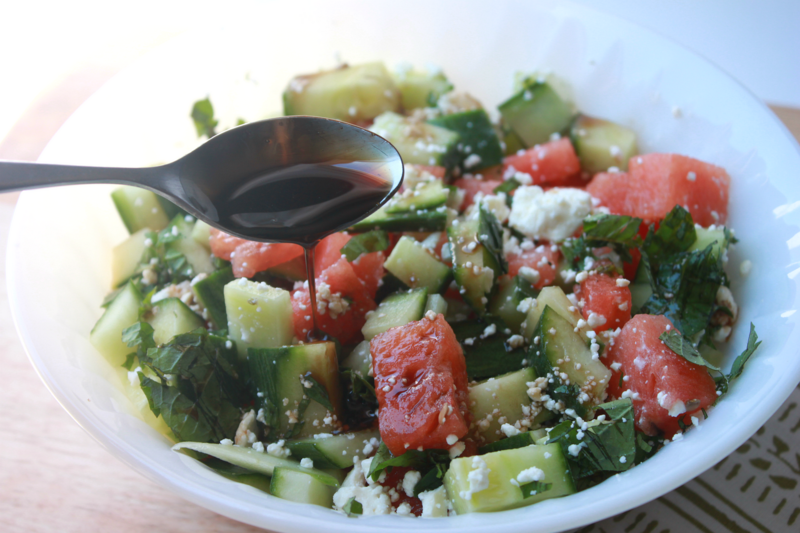 I've never tried watermelon in a salad but I do love other fruits in my salads. I have a similar recipe for you to try.you will need a personal size watermelon ,those small ones.red onion like a half thinly sliced,avacado cut up,cilantro to taste, I usually go with a small grandiloquence,the juice of a lime .a table spoon or two of vegetable oil, canola might work but olive oil for sure does not work. Add some salt to taste and your done.this salad is addicting! Oh you could also add a little jalapeno if your inclined.